New Delhi: India is among the world’s three emerging arms producers alongside Brazil and Turkey, says a new report by Stockholm International Peace Research Institute (SIPRI). The report, published this month, has also ranked the Indian Ordnance Factories and Hindustan Aeronautics Limited (HAL) at the 37th and 38th positions in the ‘emerging producers’ category for 2017. As per the report, seven companies in India, Brazil and Turkey accounted for $11.1 billion in arms sales — an increase of 8.1 per cent from 2016. In fact, these seven companies accounted for 2.8 per cent of total top 100 arms sales in 2017, the report said. India is the largest arms manufacturer in the ‘emerging producers’ category, with four of its companies ranked in the Top 100 in this category, the report says. Along with Indian Ordnance Factories and HAL, the report says that Bharat Electronics (rank 64) has also been in the Top 100, in the ‘emerging producers’ category, since 2002. The newest Indian entrant is Bharat Dynamics, which has been ranked 94th for 2017. “Their combined arms sales of $7.5 billion in 2017 was 6.1 per cent higher than in 2016,” the report adds. The report should come as good news to HAL, in the wake of it losing out in the Rafale deal after French firm Dassault Aviation chose Reliance Defence as the project’s offset partner in India. “While there was a marginal decrease in Hindustan Aeronautics’ total arms sales, the totals of the other three companies each rose by 10 per cent,” the report said, adding that all four companies are state-owned and are almost “entirely dependent on domestic demand”. “The overall increase in arms sales in 2017 is a result of India’s aims to modernise its armed forces and source its military equipment from Indian companies as far as possible,” the report states. As per the report, the emerging producers have expressed ambitions to develop their arms-production capabilities to higher levels in most arms-production sectors. US firm Lockheed Martin remained the largest arms producer in the world, with arms sales of $44.9 billion in 2017 — an increase of 8.3 per cent compared with 2016. “The increase was mainly due to ongoing deliveries of F-35 combat aircraft, missiles and anti-missile systems, and Aegis naval combat systems,” the report states, adding that the growth in Lockheed Martin’s arms sales and the 11 per cent drop in those of Boeing widened the gap between the top two arms producers to $18.0 billion in 2017. “The fall in Boeing’s arms sales can be partially attributed to delays in the delivery of KC-46 tanker aircraft and the end of deliveries of C-17 transport aircraft,” it states. 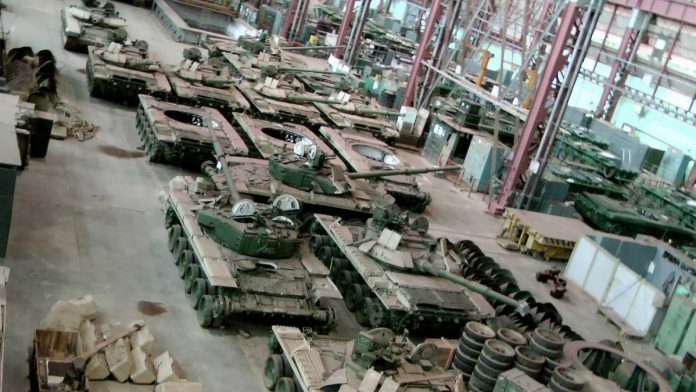 Russia has been ranked as the second largest arms producer. At $37.8 billion in combined arms sales, Russian firms accounted for 9.5 per cent of the total trade in 2017, the report says. The Russian company Almaz-Antey, ranked 10, is the first company based outside the USA or Western Europe to figure in the top 10. As per the report, BAE Systems, which is ranked fourth in the Top 100, remains the UK’s biggest arms producer. Its arms sales rose by 3.3 per cent, to $22.9 billion in 2017. As per the report, the total arms sales of the six French companies in the Top 100 rose by 11 per cent, to $21.3 billion in 2017. As per the report, arms sales of the world’s 100 largest arms-producing and military service companies amounts to $398.2 billion in 2017, with the 10 largest accounting for $198.2 billion or 50 per cent of the trade. This was an increase of 2.5 per cent compared with 2016 and marks the third consecutive year of growth in Top 100 arms sales. The figures exclude China. As per the report, five US and four West European companies occupied the top nine positions in 2017, with Russian company Almaz-Antey making up the top 10. The overall growth in arms sales of the Top 100 in 2017 was driven by an increase in arms procurement spending by several states, in particular the United States and Russia, the report states. Arms sales here include sales of military goods and services to military customers domestically and abroad. The report states that companies based in the USA and Western Europe continued to dominate the Top 100 in 2017 and their combined arms sales accounted for 81 per cent of Top 100 arms sales in 2017.